Following the success of previous Nanotechnology Conferences held during August 16-18, 2018 Dublin, Ireland we are now delighted to welcome you to 31st Nano Congress for Future Advancements (Nano Congress 2019) during August 29-31, 2019 at London ,UK aimed to provide an opportunity for all the Attendees to meet, interact and exchange new ideas in the various areas of Nanotechnology. This intriguing event is going to be organized in such a way to provide an exclusive platform for educators, new experts, and learners to present and discuss the most recent innovations, possibilities. and concerns got in the field of Nanotechnology. 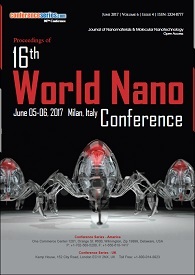 Nano Congress 2019 will include an instructive and interesting meeting program including driving keynote speakers, mediators, session Speakers showing their presentation on the topics related to Nanotechnology. The field of nanotechnology have not only helped the development in different fields in science and technology but also contributed towards the improvement of the quality of human life to a great extent. All this has become possible with the different discoveries and inventions leading to the development of various applications. The core aim of Nano Congress 2019 conference is to provide an opportunity for the delegates to meet, interact and exchange new ideas in the various areas of Nanotechnology. Nano Congress for Future Generation tiles a platform to globalize the research by installing a dialogue between industries and academic organizations and knowledge transfer from research to industry. Nano Congress 2019 aims in proclaim knowledge and share new ideas among the professionals, industrialists and students from research areas of Nanotechnology and Materials Science to share their research experiences and indulge in interactive discussions and special sessions at the event. 22nd Nanoscience and Molecular Nanotechnology Conferences, Nov 06-08, 2017 Frankfurt, Germany; 2nd Graphene & 2D Materials Conferences, November 6-7, 2017 Frankfurt, Germany; 24th Nano Conferences, May 07-08, 2018 Rome, Italy; 23rd Nanomaterials Conferences, March 15-16, 2018 London, UK; 20th Advanced Nanotechnology Conferences, September 11-12, 2017 Amsterdam, Netherlands; Membrane Science and Technology Conferences, September 11-12, 2017 Paris, France; 1st Materials Technology Conferences, December, 2018 Berlin, Germany; 17th Emerging Trends in Materials Science and Nanotechnology Conferences, April 26-27, 2018 Rome, Italy; 4th Polymer Science and Technology Conferences, June 04-05, 2018 London, UK; 11th Advanced Materials & Processing conferences, September 7-8 2017 Edinburgh, Scotland; 15th Materials Research and Technology Conferences, February 19-20, 2018 Paris, France; 3rd Biomaterials Conferences, March 05-06, 2018 Berlin, Germany; 16th Emerging Materials and Nanotechnology Conferences, Mar 22-23, 2018 London, UK; 4th Ceramics and Composite Materials Conferences, May 14-15, 2018 Rome, Italy; 19th Materials Science and Engineering Conferences, June 11-13, 2018 Barcelona, Spain; 7th Smart Materials Conferences, July 2-3, 2018 Vienna, Austria; 13th Materials Science, Metal and Manufacturing Conferences, November 16-17, 2017 Paris, France. 2nd Graphene & 2D Materials Conferences, November 6-7, 2017 Frankfurt, Germany; 24th Nano Conferences, May 07-08, 2018 Rome, Italy; 22nd Nanoscience and Molecular Nanotechnology Conferences, Nov 06-08, 2017 Frankfurt, Germany; Applied Nanotechnology and Nanoscience Conferences, Oct 18-20, 2017, Rome, Italy; 23rd Nanomaterials Conferences, March 15-16, 2018 London, UK; 20th Advanced Nanotechnology Conferences, September 11-12, 2017 Amsterdam, Netherlands; 16th Emerging Materials and Nanotechnology Conferences, Mar 22-23, 2018 London, UK; Membrane Science and Technology Conferences, September 11-12, 2017 Paris, France; 1st Materials Technology Conferences, December, 2018 Berlin, Germany; 4th Polymer Science and Technology Conferences, June 04-05, 2018 London, UK; 15th Materials Research and Technology Conferences, February 19-20, 2018 Paris, France; 3rd Biomaterials Conferences, March 05-06, 2018 Berlin, Germany; 4th Ceramics and Composite Materials Conferences, May 14-15, 2018 Rome, Italy; 19th Materials Science and Engineering Conferences, June 11-13, 2018 Barcelona, Spain; 7th Smart Materials Conferences, July 2-3, 2018 Vienna, Austria; 11th Advanced Materials & Processing conferences, September 7-8 2017 Edinburgh, Scotland;13th Materials Science, Metal and Manufacturing Conferences, November 16-17, 2017 Paris, France; Magnetism and Magnetic Materials conferences, October 9-10, 2017 London, UK. 24th Nano Conferences, May 07-08, 2018 Rome, Italy; 22nd Nanoscience and Molecular Nanotechnology Conferences, Nov 06-08, 2017 Frankfurt, Germany; 2nd Graphene & 2D Materials Conferences, November 6-7, 2017 Frankfurt, Germany; 23rd Nanomaterials Conferences, March 15-16, 2018 London, UK; 20th Advanced Nanotechnology Conferences, September 11-12, 2017 Amsterdam, Netherlands; 16th Emerging Materials and Nanotechnology Conferences, Mar 22-23, 2018 London, UK; Membrane Science and Technology Conferences, September 11-12, 2017 Paris, France; 1st Materials Technology Conferences, December, 2018 Berlin, Germany; 4th Polymer Science and Technology Conferences, June 04-05, 2018 London, UK; 11th Advanced Materials & Processing conferences, September 7-8 2017 Edinburgh, Scotland; 15th Materials Research and Technology Conferences, February 19-20, 2018 Paris, France; 3rd Biomaterials Conferences, March 05-06, 2018 Berlin, Germany; 4th Ceramics and Composite Materials Conferences, May 14-15, 2018 Rome, Italy; 19th Materials Science and Engineering Conferences, June 11-13, 2018 Barcelona, Spain; 7th Smart Materials Conferences, July 2-3, 2018 Vienna, Austria; 13th Materials Science, Metal and Manufacturing Conferences, November 16-17, 2017 Paris, France; Magnetism and Magnetic Materials conferences, October 9-10, 2017 London, UK; 12th Environmental Effects of Nanoparticles and Nanomaterials Conferences, September 3-6, 2017, Birmingham, United Kingdom. 2nd Graphene & 2D Materials Conferences, November 6-7, 2017 Frankfurt, Germany; 24th Nano Conferences, May 07-08, 2018 Rome, Italy; 22nd Nanoscience and Molecular Nanotechnology Conferences, Nov 06-08, 2017 Frankfurt, Germany; Applied Nanotechnology and Nanoscience Conferences, Oct 18-20, 2017, Rome, Italy; 23rd Nanomaterials Conferences, March 15-16, 2018 London, UK; 20th Advanced Nanotechnology Conferences, September 11-12, 2017 Amsterdam, Netherlands; 16th Emerging Materials and Nanotechnology Conferences, Mar 22-23, 2018 London, UK; Membrane Science and Technology Conferences, September 11-12, 2017 Paris, France; 1st Materials Technology Conferences, December, 2018 Berlin, Germany; 4th Polymer Science and Technology Conferences, June 04-05, 2018 London, UK; 15th Materials Research and Technology Conferences, February 19-20, 2018 Paris, France; 3rd Biomaterials Conferences, March 05-06, 2018 Berlin, Germany; 4th Ceramics and Composite Materials Conferences, May 14-15, 2018 Rome, Italy; 19th Materials Science and Engineering Conferences, June 11-13, 2018 Barcelona, Spain; 7th Smart Materials Conferences, July 2-3, 2018 Vienna, Austria; 11th Advanced Materials & Processing conferences, September 7-8 2017 Edinburgh, Scotland;13th Materials Science, Metal and Manufacturing Conferences, November 16-17, 2017 Paris, France; Magnetism and Magnetic Materials conferences, October 9-10, 2017 London, UK; 12th Environmental Effects of Nanoparticles and Nanomaterials Conferences, September 3-6, 2017, Birmingham, United Kingdom. Carbon Nanotechnology finds application as additives to various structural materials. Carbon Nanotechnology is very useful for experienced scientists and engineers. It is also useful to graduate and senior undergraduate students who look to make their mark in this field of the future. 22nd Nanoscience and Molecular Nanotechnology Conferences, Nov 06-08, 2017 Frankfurt, Germany; 2nd Graphene & 2D Materials Conferences, November 6-7, 2017 Frankfurt, Germany; 24th Nano Conferences, May 07-08, 2018 Rome, Italy; 23rd Nanomaterials Conferences, March 15-16, 2018 London, UK; 20th Advanced Nanotechnology Conferences, September 11-12, 2017 Amsterdam, Netherlands; Membrane Science and Technology Conferences, September 11-12, 2017 Paris, France; 1st Materials Technology Conferences, December, 2018 Berlin, Germany; 17th Emerging Trends in Materials Science and Nanotechnology Conferences, April 26-27, 2018 Rome, Italy; 4th Polymer Science and Technology Conferences, June 04-05, 2018 London, UK; 11th Advanced Materials & Processing conferences, September 7-8 2017 Edinburgh, Scotland; 15th Materials Research and Technology Conferences, February 19-20, 2018 Paris, France; 3rd Biomaterials Conferences, March 05-06, 2018 Berlin, Germany; 16th Emerging Materials and Nanotechnology Conferences, Mar 22-23, 2018 London, UK; 4th Ceramics and Composite Materials Conferences, May 14-15, 2018 Rome, Italy; 19th Materials Science and Engineering Conferences, June 11-13, 2018 Barcelona, Spain; 7th Smart Materials Conferences, July 2-3, 2018 Vienna, Austria. 24th Nano Conferences, May 07-08, 2018 Rome, Italy; 22nd Nanoscience and Molecular Nanotechnology Conferences, Nov 06-08, 2017 Frankfurt, Germany; 2nd Graphene & 2D Materials Conferences, November 6-7, 2017 Frankfurt, Germany; 23rd Nanomaterials Conferences, March 15-16, 2018 London, UK; 20th Advanced Nanotechnology Conferences, September 11-12, 2017 Amsterdam, Netherlands; 16th Emerging Materials and Nanotechnology Conferences, Mar 22-23, 2018 London, UK; Membrane Science and Technology Conferences, September 11-12, 2017 Paris, France; 1st Materials Technology Conferences, December, 2018 Berlin, Germany; 4th Polymer Science and Technology Conferences, June 04-05, 2018 London, UK; 11th Advanced Materials & Processing conferences, September 7-8 2017 Edinburgh, Scotland; 15th Materials Research and Technology Conferences, February 19-20, 2018 Paris, France; 3rd Biomaterials Conferences, March 05-06, 2018 Berlin, Germany; 4th Ceramics and Composite Materials Conferences, May 14-15, 2018 Rome, Italy; 19th Materials Science and Engineering Conferences, June 11-13, 2018 Barcelona, Spain; 7th Smart Materials Conferences, July 2-3, 2018 Vienna, Austria; 13th Materials Science, Metal and Manufacturing Conferences, November 16-17, 2017 Paris, France; Magnetism and Magnetic Materials conferences, October 9-10, 2017 London, UK; 12th Environmental Effects of Nanoparticles and Nanomaterials Conferences, September 3-6, 2017, Birmingham, United Kingdom; 2nd Materials Science and Nanoscience Conferences, September 25-27, 2017 Valencia, Spain. 2nd Graphene & 2D Materials Conferences, November 6-7, 2017 Frankfurt, Germany; 24th Nano Conferences, May 07-08, 2018 Rome, Italy; 22nd Nanoscience and Molecular Nanotechnology Conferences, Nov 06-08, 2017 Frankfurt, Germany; Applied Nanotechnology and Nanoscience Conferences, Oct 18-20, 2017, Rome, Italy; 23rd Nanomaterials Conferences, March 15-16, 2018 London, UK; 20th Advanced Nanotechnology Conferences, September 11-12, 2017 Amsterdam, Netherlands; 16th Emerging Materials and Nanotechnology Conferences, Mar 22-23, 2018 London, UK; Membrane Science and Technology Conferences, September 11-12, 2017 Paris, France; 1st Materials Technology Conferences, December, 2018 Berlin, Germany; 4th Polymer Science and Technology Conferences, June 04-05, 2018 London, UK; 15th Materials Research and Technology Conferences, February 19-20, 2018 Paris, France; 3rd Biomaterials Conferences, March 05-06, 2018 Berlin, Germany; 4th Ceramics and Composite Materials Conferences, May 14-15, 2018 Rome, Italy; 19th Materials Science and Engineering Conferences, June 11-13, 2018 Barcelona, Spain; 7th Smart Materials Conferences, July 2-3, 2018 Vienna, Austria; 11th Advanced Materials & Processing conferences, September 7-8 2017 Edinburgh, Scotland. 24th Nano Conferences, May 07-08, 2018 Rome, Italy; 22nd Nanoscience and Molecular Nanotechnology Conferences, Nov 06-08, 2017 Frankfurt, Germany; 2nd Graphene & 2D Materials Conferences, November 6-7, 2017 Frankfurt, Germany; 23rd Nanomaterials Conferences, March 15-16, 2018 London, UK; 20th Advanced Nanotechnology Conferences, September 11-12, 2017 Amsterdam, Netherlands; 16th Emerging Materials and Nanotechnology Conferences, Mar 22-23, 2018 London, UK; Membrane Science and Technology Conferences, September 11-12, 2017 Paris, France; 1st Materials Technology Conferences, December, 2018 Berlin, Germany; 4th Polymer Science and Technology Conferences, June 04-05, 2018 London, UK; 11th Advanced Materials & Processing conferences, September 7-8 2017 Edinburgh, Scotland; 15th Materials Research and Technology Conferences, February 19-20, 2018 Paris, France; 3rd Biomaterials Conferences, March 05-06, 2018 Berlin, Germany; 4th Ceramics and Composite Materials Conferences, May 14-15, 2018 Rome, Italy; 19th Materials Science and Engineering Conferences, June 11-13, 2018 Barcelona, Spain; 7th Smart Materials Conferences, July 2-3, 2018 Vienna, Austria; 13th Materials Science, Metal and Manufacturing Conferences, November 16-17, 2017 Paris, France; Magnetism and Magnetic Materials conferences, October 9-10, 2017 London, UK. 2nd Graphene & 2D Materials Conferences, November 6-7, 2017 Frankfurt, Germany; 24th Nano Conferences, May 07-08, 2018 Rome, Italy; 22nd Nanoscience and Molecular Nanotechnology Conferences, Nov 06-08, 2017 Frankfurt, Germany; Applied Nanotechnology and Nanoscience Conferences, Oct 18-20, 2017, Rome, Italy; 23rd Nanomaterials Conferences, March 15-16, 2018 London, UK; 20th Advanced Nanotechnology Conferences, September 11-12, 2017 Amsterdam, Netherlands; 16th Emerging Materials and Nanotechnology Conferences, Mar 22-23, 2018 London, UK; Membrane Science and Technology Conferences, September 11-12, 2017 Paris, France; 1st Materials Technology Conferences, December, 2018 Berlin, Germany; 4th Polymer Science and Technology Conferences, June 04-05, 2018 London, UK; 15th Materials Research and Technology Conferences, February 19-20, 2018 Paris, France; 3rd Biomaterials Conferences, March 05-06, 2018 Berlin, Germany; 4th Ceramics and Composite Materials Conferences, May 14-15, 2018 Rome, Italy; 19th Materials Science and Engineering Conferences, June 11-13, 2018 Barcelona, Spain; 7th Smart Materials Conferences, July 2-3, 2018 Vienna, Austria; 11th Advanced Materials & Processing conferences, September 7-8 2017 Edinburgh, Scotland;13th Materials Science, Metal and Manufacturing Conferences, November 16-17, 2017 Paris, France. 24th Nano Conferences, May 07-08, 2018 Rome, Italy; 22nd Nanoscience and Molecular Nanotechnology Conferences, Nov 06-08, 2017 Frankfurt, Germany; 2nd Graphene & 2D Materials Conferences, November 6-7, 2017 Frankfurt, Germany; 23rd Nanomaterials Conferences, March 15-16, 2018 London, UK; 20th Advanced Nanotechnology Conferences, September 11-12, 2017 Amsterdam, Netherlands; 16th Emerging Materials and Nanotechnology Conferences, Mar 22-23, 2018 London, UK; Membrane Science and Technology Conferences, September 11-12, 2017 Paris, France; 1st Materials Technology Conferences, December, 2018 Berlin, Germany; 4th Polymer Science and Technology Conferences, June 04-05, 2018 London, UK; 11th Advanced Materials & Processing conferences, September 7-8 2017 Edinburgh, Scotland; 15th Materials Research and Technology Conferences, February 19-20, 2018 Paris, France; 3rd Biomaterials Conferences, March 05-06, 2018 Berlin, Germany; 4th Ceramics and Composite Materials Conferences, May 14-15, 2018 Rome, Italy; 19th Materials Science and Engineering Conferences, June 11-13, 2018 Barcelona, Spain; 7th Smart Materials Conferences, July 2-3, 2018 Vienna, Austria; 13th Materials Science, Metal and Manufacturing Conferences, November 16-17, 2017 Paris, France. 24th Nano Conferences, May 07-08, 2018 Rome, Italy; 22nd Nanoscience and Molecular Nanotechnology Conferences, Nov 06-08, 2017 Frankfurt, Germany; 2nd Graphene & 2D Materials Conferences, November 6-7, 2017 Frankfurt, Germany; 23rd Nanomaterials Conferences, March 15-16, 2018 London, UK; 20th Advanced Nanotechnology Conferences, September 11-12, 2017 Amsterdam, Netherlands; 16th Emerging Materials and Nanotechnology Conferences, Mar 22-23, 2018 London, UK; Membrane Science and Technology Conferences, September 11-12, 2017 Paris, France; 1st Materials Technology Conferences, December, 2018 Berlin, Germany; 4th Polymer Science and Technology Conferences, June 04-05, 2018 London, UK; 11th Advanced Materials & Processing conferences, September 7-8 2017 Edinburgh, Scotland; 15th Materials Research and Technology Conferences, February 19-20, 2018 Paris, France; 3rd Biomaterials Conferences, March 05-06, 2018 Berlin, Germany; 4th Ceramics and Composite Materials Conferences, May 14-15, 2018 Rome, Italy; 19th Materials Science and Engineering Conferences, June 11-13, 2018 Barcelona, Spain. 22nd Nanoscience and Molecular Nanotechnology Conferences, Nov 06-08, 2017 Frankfurt, Germany; 2nd Graphene & 2D Materials Conferences, November 6-7, 2017 Frankfurt, Germany; 24th Nano Conferences, May 07-08, 2018 Rome, Italy; 23rd Nanomaterials Conferences, March 15-16, 2018 London, UK; 20th Advanced Nanotechnology Conferences, September 11-12, 2017 Amsterdam, Netherlands; Membrane Science and Technology Conferences, September 11-12, 2017 Paris, France; 1st Materials Technology Conferences, December, 2018 Berlin, Germany; 17th Emerging Trends in Materials Science and Nanotechnology Conferences, April 26-27, 2018 Rome, Italy; 4th Polymer Science and Technology Conferences, June 04-05, 2018 London, UK. All electrified interfaces induce an organized charge distribution near the surface known as the electrical double layer. In pores of nanometer dimensions the electrical double layer may completely span the width of the nanopore, resulting in dramatic changes in the composition of the fluid and the related properties of fluid motion in the structure nanotechnology engineering discipline of designing and building nanorobots. Nano machines are largely in the research and development phase. 22nd Nanoscience and Molecular Nanotechnology Conferences, Nov 06-08, 2017 Frankfurt, Germany; 2nd Graphene & 2D Materials Conferences, November 6-7, 2017 Frankfurt, Germany; 24th Nano Conferences, May 07-08, 2018 Rome, Italy; 23rd Nanomaterials Conferences, March 15-16, 2018 London, UK; 20th Advanced Nanotechnology Conferences, September 11-12, 2017 Amsterdam, Netherlands; Membrane Science and Technology Conferences, September 11-12, 2017 Paris, France; 1st Materials Technology Conferences, December, 2018 Berlin, Germany; 17th Emerging Trends in Materials Science and Nanotechnology Conferences, April 26-27, 2018 Rome, Italy; 4th Polymer Science and Technology Conferences, June 04-05, 2018 London, UK; 11th Advanced Materials & Processing conferences, September 7-8 2017 Edinburgh, Scotland; 15th Materials Research and Technology Conferences, February 19-20, 2018 Paris, France; 3rd Biomaterials Conferences, March 05-06, 2018 Berlin, Germany. 2nd Graphene & 2D Materials Conferences, November 6-7, 2017 Frankfurt, Germany; 24th Nano Conferences, May 07-08, 2018 Rome, Italy; 22nd Nanoscience and Molecular Nanotechnology Conferences, Nov 06-08, 2017 Frankfurt, Germany; Applied Nanotechnology and Nanoscience Conferences, Oct 18-20, 2017, Rome, Italy; 23rd Nanomaterials Conferences, March 15-16, 2018 London, UK; 20th Advanced Nanotechnology Conferences, September 11-12, 2017 Amsterdam, Netherlands; 16th Emerging Materials and Nanotechnology Conferences, Mar 22-23, 2018 London, UK; Membrane Science and Technology Conferences, September 11-12, 2017 Paris, France; 1st Materials Technology Conferences, December, 2018 Berlin, Germany; 4th Polymer Science and Technology Conferences, June 04-05, 2018 London, UK; 15th Materials Research and Technology Conferences, February 19-20, 2018 Paris, France; 3rd Biomaterials Conferences, March 05-06, 2018 Berlin, Germany. The field of pharmaceutical nanotechnology provides an insights into the study of synthesis, characterisation and diagnostic application of materials at the nanoscale. The particular interest within the field is synthesis, characterisation, biological evaluation, clinical testing and toxicological assessment of nanomaterials as drugs for various diseases.Nanotechnology is the science which deals with the processes that occur at molecular level and of nanolength scale size. The major studies in the nanotechnology include nanosized particles, their function and behaviour with respect to other systems. The tremendous capabilities of nanoparticles have changed the perspective and scope of nanotechnology towards development into an adjuvant field for the remaining fields of life sciences. 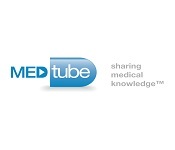 This technology carries a significant impact and is considered to be a revolutionary and beneficial technology. It is considered to be useful in all industrial domains including communications, medicine, transportation, agriculture, energy, materials and manufacturing, consumer products, and household. Although safe, this technology is said to carry grave risks too. Health hazards such as nanopollutants, social and economy related risks such as privacy invasion, nanotech weapons can be categorized as risks in the nanotechnology market. The report segments the nanotechnology market on the basis of different types of technologies, the current and future applications and geographical market. Further, it contains revenue forecasting, and analyzing trends in the market. Also, the application segment has been sub-categorized for in-depth coverage. The geographical analysis contains the comprehensive classification for Americas (North America and Latin America), APAC, and Europe which contain the major countries covering the market. Further, ROW has been classified under the Middle-East and Africa. The sections and the sub-segments in the report would contain drivers, restraints, opportunities, current market trends, and the expected technology requiredto revolutionize the nanotechnology domain. Nanotechnology is the improvement and engineering of devices so small that they are measured on a molecular scale. 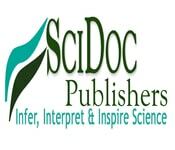 This developing field involves scientists from many different disciplines, including physicists, chemists, engineers, information technologists, and material Researchers, as well as biologists. Nanotechnology is being applied to almost every field imaginable, including electronics, magnetics, information technology, materials development and biomedicine. 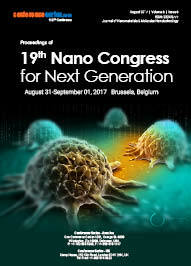 There are numerous areas of concern in the nanomaterial’s market which are expectable to be explored in the approaching years, for instance, nanoparticles of metals and semiconductors, nanowires, nanobiological systems and nanotubes, Nano Congress 2019 greetings attendees, presenters & exhibitors from all over the world to Brussels,Belgium. We are delighted to invite you all to join & register for the international conference on “31st Nano Congress for Next Generation" which is going to be organized during August- 29 to August-31 , 2019 in London, UK. Aerogel | Nanoparticle based solar cells | Carbon nanofibers | Nanotope 26 | Nanofilm | Cerablak | NANOBYK UV absorber | SurfaPore | Nanovations | silver nanoparticles | cerium oxide | Nanosphere | nano-screenMAG | FluidCrystal NP | Phospholipid Platform | ZERODUR K20 | REWITEC Coating | Nano-Blend Orange Oil Rubber | NanoCeram | GreenCat | NanoSpray | Aurimune | NanoXray | PuraMatrix | Nano Polish | NanoCeram-PAC | Pleximer | NANOPERM Softmagnetic Alloy | Nanogel | NANOBYK-3650 Additives | Acrylates | Thiols | Hydroxyls | NanoProof | Sandvik Nanoflex | Nano Biotech Conferences | Nano Medicine Conferences | Nanotechnology Conferences | Materials Science Conferences | Smart Materials Conferences | Nanomaterials Conferences | Composite Materials conferences | Nanotechnology Conferences 2019 | Nanotechnology Conferences USA | Nanoscience Conferences | Nano Engineering Conferences. 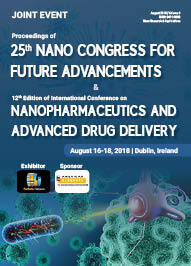 The 25th Nano Congress for Future Advancements hosted by Conference Series LLC was successfully held during August 16-18, 2018 at Dublin, Ireland and was marked with the presence of the committee members, senior scientists, young and brilliant researchers, business delegates and talented students from various countries, who made this conference successful and productive. Title: How carbon nanotubes functional groups influence copper electrodeposition for electrical transmission? Similarly Poster presentations were evaluated by Jong Seok Woo, Woosung Lee . Conference Series LLC has taken the privilege of felicitating Nano Congress 2019 Organizing Committee, and Keynote Speakers who supported the event. The esteemed guests, Keynote speakers, well-known researchers and delegates shared their innovative research and vast experience through their fabulous presentations at the podium of grand Nano Congress 2017 Conference. We are glad to inform that all accepted abstracts for the conference have been published in Conference Series LLC “Journal of Nanomaterial and Molecular Nanotechnology” as a special issue. We are also obliged to various delegate experts, company representatives and other eminent personalities who supported the conference. We sincerely thank the Organizing Committee Members for their gracious presence, support and assistance. 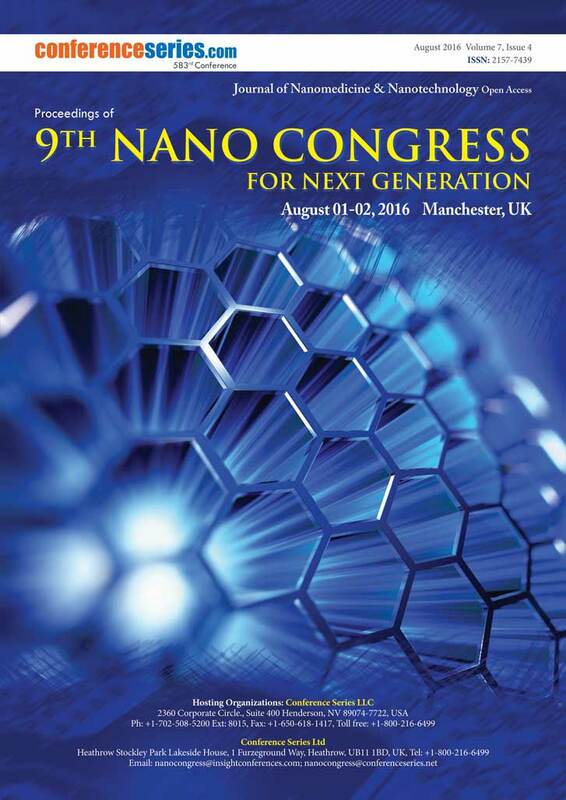 With the unique feedback from the conference, Conference Series LLC Ltd would like to announce the commencement of the “31st Nano Congress for Future Advancements”.